13 cm tall (5 inches). 18 cm long (7 inches). 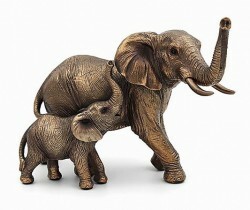 Elephant solid cold cast resin bronze resin sculpture.